Just because school is out, it doesn’t mean your brain needs to take a perma-vacation! This month the theme for Netflix is Get a Brain Boost. I decided to make a recipe to go along with the theme that uses items that are good for your brain such as blueberries and yogurt. I made two different batches of Blueberry Frozen Yogurt and the second batch was the definite winner. The first batch… not so much. I tried using honey as the sweetener and I think I just put way too much honey in it. My husband said it tasted like soap and the kids thought it was horrible. The second batch I gave in and used sugar. Money said “it’s ok to me” but then wanted to steal my bowl, so apparently she liked it. My husband hasn’t been home to give it a try yet, but I think he’ll like this one as well. Sort through your blueberries and discard any bad berries, stems or debris. In a medium saucepan, combine the blueberries, sugar, ½ teaspoon lemon zest, 2 tablespoons lemon juice, cinnamon and salt. Bring the mixture to a simmer over medium heat. Reduce the heat to a gentle simmer, then cook, stirring occasionally, for 15 minutes. Mix together your chilled blueberry mixture and chilled yogurt in a blender or food processor, then freeze the mixture in your ice cream maker according to your manufacturer's instructions. Serve immediately for a soft serve texture, or transfer the frozen yogurt to a freezer-safe container and freeze for several hours for a scoopable consistency. My kids like watching The Magic School Bus and they also like Wild Krats, which didn’t make the list. (In fact, Monkey is in the other room watching that right now.) Do you have any tips for keeping your kids’ brains from turning to mush over the summer? I hope you enjoy my brain boosting recipe: Blueberry Frozen Yogurt while you sit down to enjoy a brain boosting show from Netflix. Sometimes life just needs a little sugar! 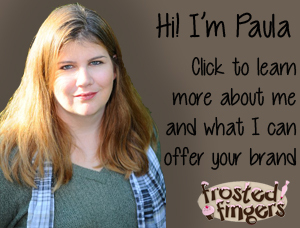 The frozen yogurt sounds delicious! I love blueberry anything! We love the Magic School Bus, too!! And that yogurt looks AMAZING! Thanks for sharing the recipe! I almost licked the screen! I need this! If you lived closer, I’d bring some by. I have another ice cream recipe I’m making for Thursday, so soon I’ll be swimming in ice cream! No way! I have never made my own foyo before. How neat. YUM! This looks amazing. I will have to add this to my blueberry recipes I plan on trying this summer. I have that same problem when I try to avoid sugar sometimes. Dang that sugar for being so good. 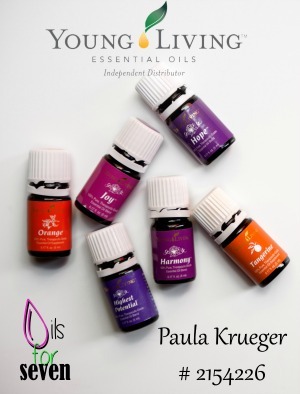 This looks soooo good, Paula! My kids are all about The Magic School Bus right now! I am loving it because it sounds like my childhood! Also- the frozen yogurt looks great! Mmmm that blueberry frozen yogurt looks so good. That blueberry yogurt looks delicious! I’ll have to check out some of these movies on Netflix. We try to get in some “learning” time every day. Yum! Blueberry frozen yogurt and blueberry sorbet are two of our Summer faves. …and my son has several of those Netflix movies in our que at the moment. That looks so tasty. So nice to have as a snack. Mmmmm, that looks so incredibly tasty. I would love to eat some right now. It is 90 degrees here and that would be so refreshing. 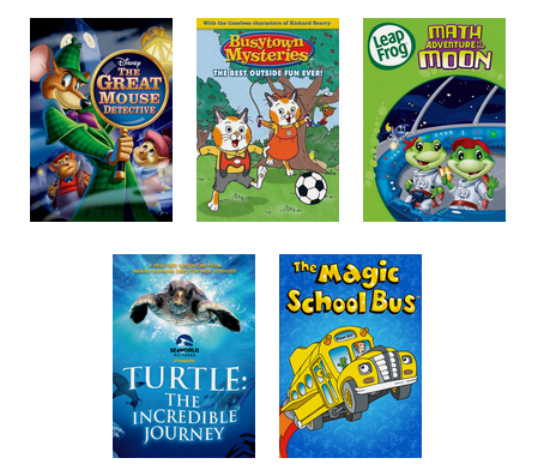 I love that Netflix has so many educational movies and television shows! I can always find something for the kids to watch. This sounds delicious! I love frozen yogurt in summer and feel a lot less guilty giving that as a treat to my girls than sugar laden options from the store. Brain boosting movies sound fabulous as well. Happy summer! That frozen yogurt looks amazing and refreshing. This looks really yummy and easy to make. I would love to make this treat during my time off next week. This looks so incredibly refreshing and delicious! I love blueberry frozen treats. Delish! That looks and sounds great! 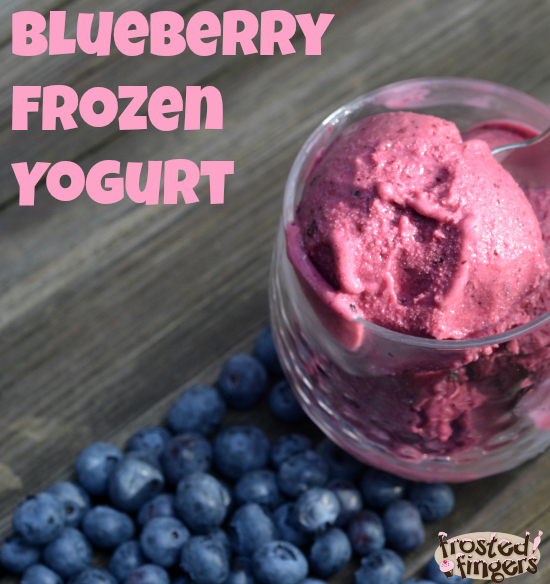 I would love to make homemade frozen yogurt! 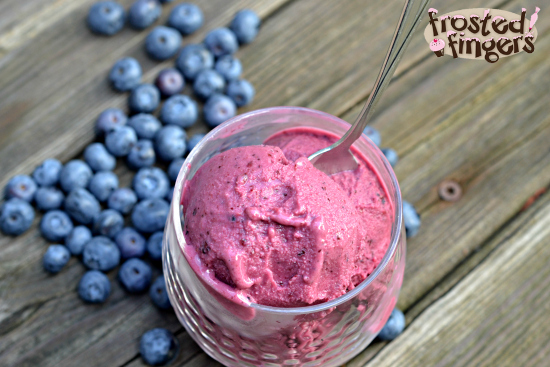 Oh my goodness, this blueberry frozen yogurt looks so delicious! And I love that it’s simple enough for me to make! Our boys are also loving The Magic School Bus on Netflix. Another new addiction is Care Bears! LOL! This looks so tasty and summery. I’d love to go to a U-pick to get the blueberries! I want to take my kids to pick blueberries this year. That Blueberry Fro Yo looks so good. Thank you for the great recipe. Definitely making it this summer!! I love frozen yogurt! This looks so yummy, I can’t wait to try this recipe out! When We Left Earth is one of my favorite movies, and I love that Netflix has so many incredible documentaries. So much good stuff to watch and learn about! Big Netflix Fans here and we use it for learning a lot. Most of the time the kids don’t even know it! That looks delicious! I will have to try making this sometime. I love all the blueberry recipes that show up in June!! Can’t wait to give it a try! I can almost taste those blueberries. That looks scrumdiliuptious! That yogurt looks really good. We don’t have Netflix, but thinking I want to try it. This looks so refreshing..with blueberry season starting soon…this will be perfect! I love making frozen yogurt at home. I havne’t tried blueberry, though! Guess what I’m making this weekend? Ooo, blueberry! The color of that is gorgeous! You’re sending some to me, right? Somehow I don’t think it’ll be frozen anymore once it gets to you. The yogurt looks so refreshing and tasty. I used to watch Magic School Bus when I was a kid! I love to use Agave as my sweetener and I only add a little at a time till I get the right flavor. We love Netflix. My husband and I are in the middle of the Lost series and my kids are watching Power Rangers right now! 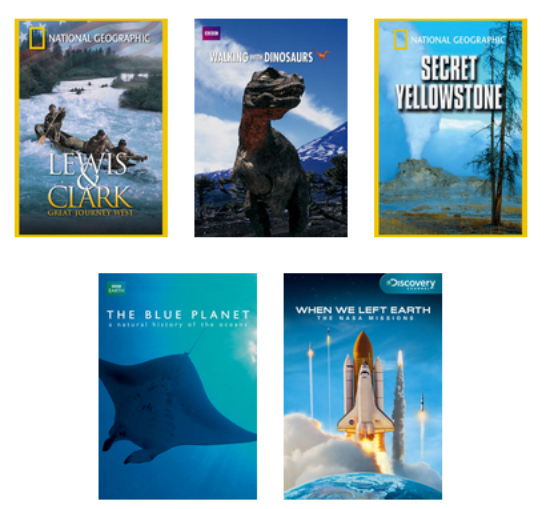 My son would love the ones about nature! He’s so into that stuff right now! If there’s any left by the time you get here. We’ve been eating it up! That looks perfect! I have a ton of blueberries to use up! What a yummy looking treat. I would love to try and make this for my girls. Wow, that looks so GOOD! Perfect for summer flicks. Mmmm, that looks amazing! I needed some new Netflix ideas too, thanks! I have all of the ingredients in the fridge, I’m going to give it a try. I love frozen yogurt. This blueberry recipe sounds great. Anything National Geographics is an instant brain boost. Yum to the Frozen Yogurt!! This sounds delicious! I love blueberry yogurt so this is already a win for me! My 3 year old would love this recipe! And yes, he loves Magic School Bus too! I just got an ice cream maker and don’t have enough time or stomach space to make all the recipes I want to. Love this one- it is going on my list! I understand. I just made my 3rd recipe with it today and I’ve only had it a week. Shhh. That looks delicious! I love that Netflix has so many educational shows. Don’t know what I’d do without Netflix. And I am so craving that frozen yogurt!